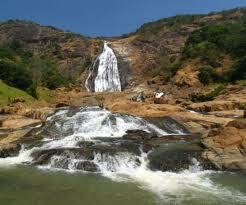 Nigeria is blessed with hundreds of miles of coastline, national parks and fascinating ancient sites. Lagos is one of the most exuberant cities in Africa, while port city Calabar makes for an enjoyable stopover for travellers on their way to Cameroon. Across Nigeria, old kingdoms carry on their customs, from creating elaborate brass sculptures. 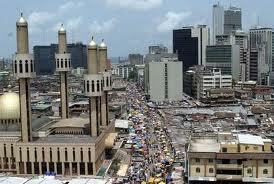 Located in tropical West Africa, the country of Nigeria is a powerhouse in this part of Africa. Dominating the region in terms of its economy and politics, it is also revered for its music, literature and culture. Nigeria is made up of over 250 different tribes and tensions can arise between the tribes as well as the Muslim and Christian populations. Nigeria has also suffered a fair amount of bad press and there is a huge contrast between the country’s wealth and the poverty of some of its population. However, visitors can expect a warm welcome and some incredible landscapes and attractions from this vibrant and colourful country. Nigeria's main international airport is located in Lagos. If you prefer to travel on direct flights to Nigeria, try Virgin Atlantic or British Airways who both operate direct services from the UK into Lagos. From sandy beaches, tropical lagoons, rainforest and a fascinating heritage, Nigeria is a diverse and interesting country to visit. Head to Lagos, Africa’s largest city, and built on a lagoon to visit the National Museum and the wetlands Lekki Conservation Centre full of exotic native animals. Travel north to Kano, West Africa’s oldest city and located in the Sahara desert and an important crossroads for the trade routes across the desert. A must is a visit to Yankari National Park, a superb wildlife reserve with elephant, buffalo, baboons and rich birdlife. Close-by is Wikki Warm Spring with its natural crystal clear springs, perfect for a refreshing dip. Try booking in advance if possible to secure some of the cheapest flights to Nigeria. For the latest offers on low cost flights and cheap flights to Nigeria, try our flight search box situated at the top of the page. If you need to travel to Nigeria in a hurry, we can also find you great deals on lastminute flights. Although Nigeria lies wholly within the tropical zone, there are wide climatic variations in different regions of the country. Near the coast, the seasons are not sharply defined. Temperatures rarely exceed 32° C (90° F ), but humidity is very high and nights are hot. Inland, there are two distinct seasons: a wet season from April to October, with generally lower temperatures, and a dry season from November to March, with midday temperatures that surpass 38° C (100° F ) but relatively cool nights, dropping as low as 12° C (54° F ). On the Jos Plateau, temperatures are more moderate. Average rainfall along the coast varies from about 180 cm (70 in) in the west to about 430 cm (170 in) in certain parts of the east. Inland, it decreases to around 130 cm (50 in) over most of central Nigeria and only 50 cm (20 in) in the extreme north. Two principal wind currents affect Nigeria. The harmattan, from the northeast, is hot and dry and carries a reddish dust from the desert; it causes high temperatures during the day and cool nights. The southwest wind brings cloudy and rainy weather.